The NEW Sigma 16mm f/1.4 Lens for Mirrorless: Perfect for Vlogging?! Whaaat! Sigma just announced today that they will be releasing a brand new 16mm f/1.4 lens for Sony E-mount and APS-C Mirrorless cameras. This got me thinking... I was just complaining (to myself) that I wish the 15-45mm kit lens on my Canon M6 was available with a better aperture, and lo and behold! Sigma came through and created this new lens, without me even having to voice my opinion to them! Arigato!!! Unfortunately, this lens doesn't work with my Canon M6, and I recently sold my Sony A6000, (which would have been perfect for this lens). The release of this lens has me curious about buying an A6500 just to try out this lens. The wide focal length will be perfect for videographers using the lens for smooth panning shots. This would be especially perfect for anybody who intends to use their mirrorless camera on a gimbal, like the Zhiyun Crane or something like that - you want a wide lens for smooth pans and tilts! However, you also want a lens with a wide open aperture to create sharpness and bokeh! Let's face it - shooting in f/3.5 and f/4 is no fun! Mannnnn, I can NOT wait to try out this new Sigma lens! The lens looks to be very well constructed - apparently, it is supposed to be up to par with Sigma's Art Lens lineup. The 16mm F1.4 DC DN | C is making its first world appearance at PhotoPlus Expo in NYC this week. Damn, I wish I could go and check it out! This looks to be such a great lens option! The Sigma 16mm 1.4 DC DN Contemporary is a high performance prime with a large aperture of F1.4 designed for APS-C Mirrorless cameras including Sony E mount and Micro Four Thirds. The Contemporary line is part of Sigma Global Vision and is aimed at combining image quality and compact size. The large aperture is great for low light and for creating depth of field and its small size makes it highly portable. The optical design and stepping motor are said to deliver smooth autofocus during video shooting. The lens design fully accommodates the Fast Hybrid AF of Sony E-mount cameras for super-fast autofocus functionality. Using face recognition AF results in consistent autofocusing on faces, even as the subjects move. Like all SGV lenses, each lens is hand crafted in Aizu Japan, individually inspected before shipping. Sigma hasn't announced pricing yet, so let's cross our fingers over here! For automotive shooters like me, you might want to order a good 67mm CPL filter off Amazon already, so you'll have it ready to go once you pick up one of these new Sigma 16mm lenses! 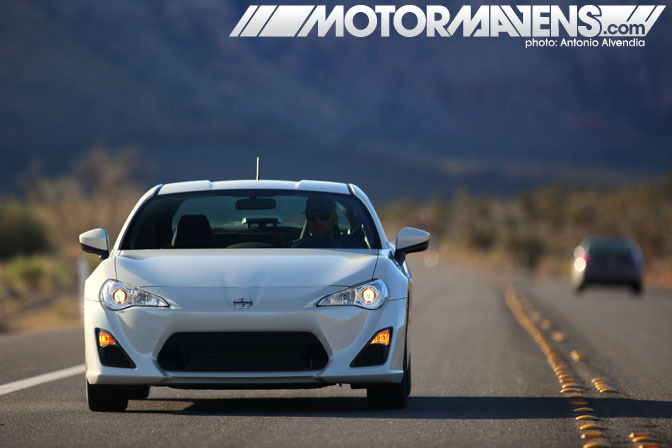 As an automotive media influencer, I’ve been blessed with the opportunity to find out what it would be like to drive the highly anticipated FR-S on a winding road, open highway, autocross course, wet skidpad, and perhaps the most enjoyable – a high speed handling test at one of Spring Mountain Motorsports Ranch‘s racetracks. Just thirty minutes south of Reno Nevada and 40 minutes east of Lake Tahoe lies the most dangerous stretch of highway in the Sierra Nevada mountain range, and quite possibly, the entire west coast – Nevada State Route 341. As the twisty road slices through the mountains towards the oldest city in the state of Nevada, a gold and silver mining town called Virginia City, it allures drivers with breathtaking views of the snow capped mountains in the Sierras – but this is all part of Highway 341’s deadly charm. Drivers who are tempted into gazing upon the majestic beauty of the Sierras while behind the wheel are often fooled into making fatal mistakes at high speed. 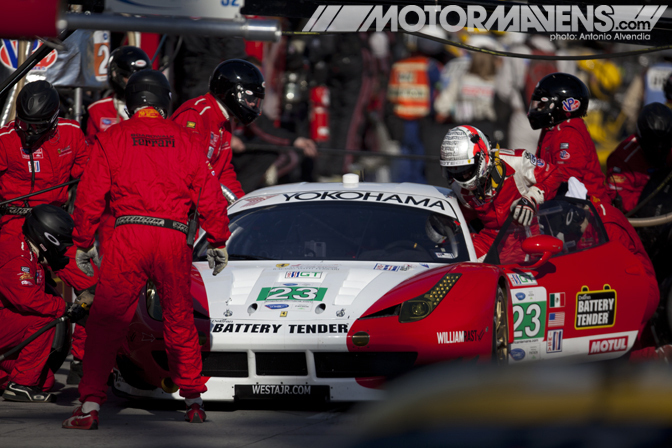 Endurance Racing has always been about how hard and how long you can go. For almost a century, legendary races like Le Mans, Sebring, and Daytona have made history as a proving ground for men and their machines. Los Angeles has automotive heritage that spans from the first hot rodders and dry lakebed racers in the 1940s and 1950s to the evolution of the European and Japanese car scenes on US shores that began in the late 1960s and continues strong until today. 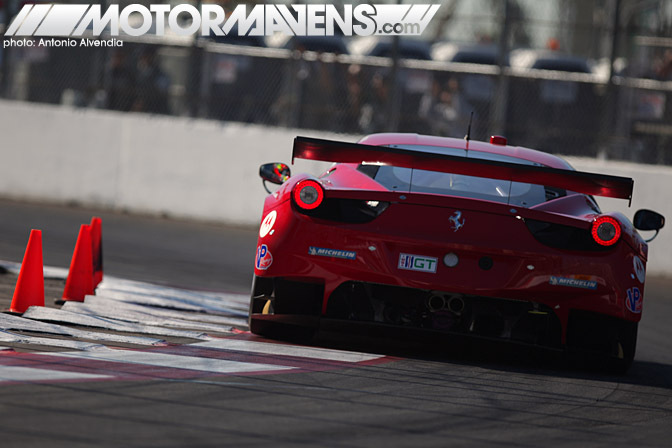 The Toyota Grand Prix of Long Beach kicked off this morning with the American LeMans cars circling the track. At 7:30AM, the pleasant sound of birds chirping was interrupted by an even better sound – a symphony of exhaust notes produced by the thirty three competition cars of the ALMS Series. Even if you're too young to recognize the name 'George Barris,' you've undoubtedly seen the cars he has created. As the automotive legend behind Barris Kustom Industries in North Hollywood, George Barris has created some of the most iconic cars in movie and television history. All Images Copyright 2018 Antonio Alvendia, Cipher Media Group. All Rights Reserved.